This is easy to use, easy to apply and quick drying (2-3 minutes a coat). This is a kinda brown and purple polish with a slight iridescent shimmer that looks green in certain lights. It was quite hard to capture and hope the photos show it off well enough! AND it was a one coater - don't you just love 'em! Lasted well. I love this shade:) i have to try this brand soon! Gorgeous! I loved this polish from the minute I saw swatches! The last two photos show these transitions very well :) Not exactly my kind of polish but it looks interesting! 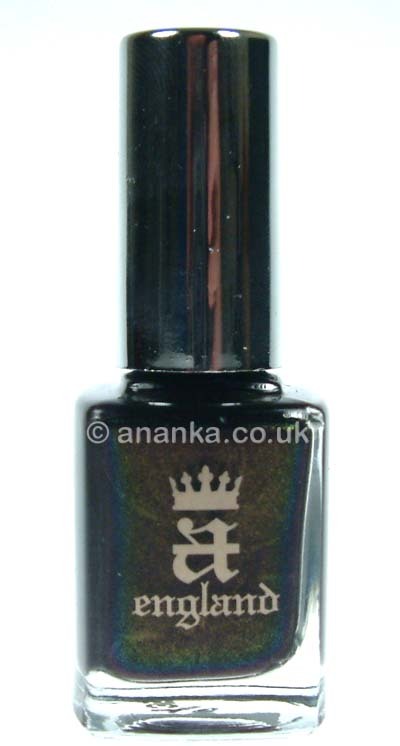 Such a fascinating nail polish, Ananka. You always make me buying more nail polishes, lol. Happy weekend. I got that one in the mail earlier this week. Can't wait to use it! Gosto muito da marca tenho alguns. 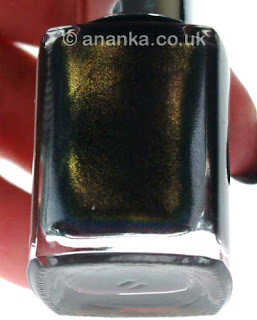 A beautiful dark polish <3, you captured well its fascinating shimmer!